TUESDAY, Feb. 9, 2016 (HealthDay News) -- A new Lyme disease-causing bacteria has been identified in the United States, and it may bring even worse symptoms, health officials said. Borrelia burgdorferi was the only bacteria species believed to cause Lyme disease in North America -- until this new discovery, the researchers said. The newly-identified bacteria, called Borrelia mayonii, appears closely related to B. burgdorferi, say a team from the U.S. Centers for Disease Control and Prevention. "This discovery adds another important piece of information to the complex picture of tick-borne diseases in the United States," CDC microbiologist Jeannine Petersen said in an agency news release. The first indication there might be a new species of Lyme disease-causing bacteria was unusual lab test results from six samples from people suspected to have the illness. Further genetic testing at the CDC and the Mayo Clinic in Rochester, Minn. pinpointed the new species of bacteria. So far, it has only been found in the upper Midwest, the study said. Preliminary findings suggest that illness caused by the new bacteria is similar. But, there may be some differences. Both cause fever, headache, rash, and neck pain in the first days after infection, and arthritis weeks after infection. But the new bacteria also seems to cause nausea and vomiting, diffuse rashes rather than a single so-called "bull's-eye" rash, and a higher concentration of bacteria in the blood, the CDC said. Both types of bacteria are transmitted to people through the bite of an infected black-legged, or deer, tick, the CDC said. The new bacteria has been found in ticks gathered from at least two counties in northwestern Wisconsin, the CDC noted. The first patients found to have B. mayonii-linked Lyme disease were likely bitten by ticks in north-central Minnesota and western Wisconsin. But it's very likely that ticks infected with the bacteria are found throughout both states, the CDC said. 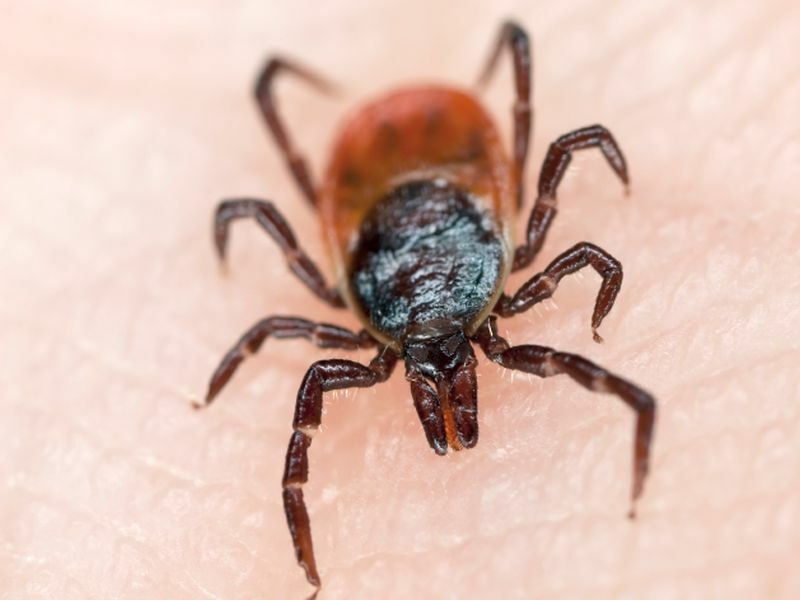 The CDC and state health departments in Minnesota, North Dakota, and Wisconsin are working together to learn more about B. mayonii, the illness it causes, and the locations of ticks infected with the newly identified bacteria. In order to get a better understanding of tick-borne diseases in general, the CDC funded a three-year effort to collect up to 30,000 specimens from people with suspected tick-borne illness. "Coupling technology with teamwork between federal, state, and private entities will help improve early and accurate diagnosis of tick-borne diseases," Ben Beard, chief of CDC's Bacterial Diseases Branch, said in the news release. The findings were released Feb. 8 in The Lancet Infectious Diseases Journal.